This post was originally published on TheNextWeb.com. Communication is a core part of the human experience. And yet, we still struggle with it. Despite the explosion of communication technology, under-communication remains a major challenge at work. It prevents organizations, and employees, from reaching their full potential. A 2014 survey from About.com found the top three reasons why people do not like their jobs — accounting for 62 percent of responses — were communication related. The biggest issue, a lack of direction from management, was followed by poor communication overall, and constant change that is not well communicated. Under-communication, lack of communication, miscommunication, whatever you want to call it, is a widespread and detrimental problem. Each form is unique, with its own set of problems and possible solutions. But all three of these start with what you say or don’t say. Your power to pull together, lead, and motivate your company hinges on your ability to influence these three streams of communication. Why is under-communication so problematic? Let’s take a deeper look. 1. It Breeds Uncertainty and Doubt. Under-communication breeds uncertainty and doubt. It can cause employees to question their job and their responsibilities, their position within the company, and even their own value. It causes them to wonder how the company itself is doing. A lack of communication undermines employee confidence and elevates stress. If employees do not feel secure in their role, then they will not have the confidence they need to succeed. They will second-guess themselves and won’t feel that they can trust each other, or their managers. The best way to quash uncertainty and doubt is to keep an open flow of communication. 2. It Turns Into Rumors, Gossip, Suspicion, and/or Resentment. Why haven’t I received any positive feedback for three months? I must not be doing a good job. Why is the executive team bringing business consultants into the office? They must be considering layoffs. Why is Angela in Sales always missing Friday afternoon meetings? She must be getting special treatment. Rumors and gossip very easily pave the way to resentment, since they tend to stem from fears and sensitivities. The best way to keep speculation and suspicion at bay is to be honest and open. 3. It Causes Low Productivity, Deadlines Missed, and Tasks Not Accomplished. A lack of communication often means that employees do not have a firm grasp on what they are supposed to be doing. How can they get their work done if they are not sure of their assignments, or even the goal they are working towards? If Jason in HR is unsure about his responsibilities, then he will waste time wondering what he is supposed to be doing, as well as hesitate to invest too heavily in any one task. The result? Low productivity, missed deadlines, and tasks left undone. Productivity requires a clear roadmap — a strong sense of what to do and by when, not to mention how and why. 4. It Leads to Poor Customer Service. 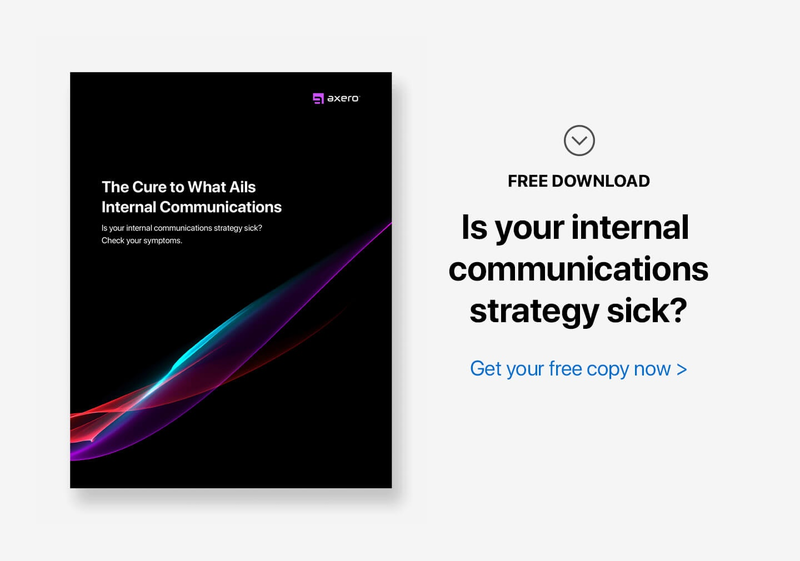 Under-communication can wreak havoc on the productivity of individual employees, teams, and organizations. However, you know things are really bad when the issues seep out to your customers. When an organization isn’t running smoothly, it doesn’t take long for that to affect customers. Maybe they don’t receive the product as promised or they have a complaint that keeps getting pushed from department to department without being addressed. In any case, quality customer service requires a well-oiled, focused machine to deliver it. For one thing, better communication cuts down on mistakes or gaps in the first place. And when they do arise, clear communication helps them get solved in an efficient and effective manner. 5. It Results in Employee Turnover. Employees that are unhappy tend to quit. It’s that simple. Employee retention rests on employee engagement and satisfaction. And employee engagement and satisfaction rests on their feeling that their work matters and is valued within the organization. By leading to uncertainty and doubt, hampering productivity, and opening the door to rumors, poor communication makes it difficult for employees to feel invested and proud of their work. Without this driving sense of purpose and structure, they are far more likely to leave. So, what can companies do to make sure that their employees listen, hear, understand, and take action? Start with the assumption that you will face numerous and unexpected barriers to communication. The more people and the more layers in your organization, the harder you have to work to get your point across. Ongoing, consistent communication is key, and use any means appropriate to the occasion. Rather than telling people what to do, give them a clear line-of-sight: where they are going, how they are doing, and where each one fits in. Promptly address concerns. All of these steps will ensure they can get the information they need, when they need it, to do their best work — and that they feel kept in the loop. Most of the discussion above has focused on company to employee communication, but this is not the only vector that matters. Strong communication from employees to the company is also key. If you want your people to fully engage in their work, leave room for employees’ voice and initiative. Never assume you know what your employees think—let them tell you. Invite them to take part in decision making. Be open to new ideas. Encourage open and honest discussions and promote candor. Support employee-led programs. Asking people for feedback is essential. You cannot lead people without knowing what’s on their minds any more than you can drive a car without knowing the function of the pedals, the transmission, and the steering wheel. Remember that meaningful communication is not issuing a statement or receiving a response. It is a dialogue geared towards reaching common ground, so both sides need to be heard. To be a strong leader, you need to know what people think. Ask your people to speak up and listen carefully to what they have to say, but don’t expect them to hand you a solution. Also, don’t be afraid of dissent. More and more CEOs are training their people to disagree with them, and to do so in an open forum or on the company intranet where everyone can have an immediate reaction. The ultimate test of your communication is what people say to each other when you are not there. Is your point of view still present? Does it make a difference? Does it serve your purpose? If you leave room for interpretation, interpretation is what you’ll get – inside and outside the office. And as previously mentioned, vagueness and uncertainty can easily lead to gossip. This is why it is so important to be straightforward, clear and honest, regardless of whether the news is good or bad. Delivering bad news badly only makes it worse. Try as they might, employers can’t control everything. In today’s modern workforce, where employees are eager to actively participate in what goes on, clear communication on all sides and in every direction is the "secret" to success. You are an awesome blogger ! I agree constant communication between the company and the employees can help solve the problem.The maturity with which both the parties handle the situation matters. A sense of who in either of the parties (company and employees) will disturb the ecosystem.Openly communicating is the key to avoid worse things to happen for the organization as a whole .